Here is the one of the cosplay tutorials I promised you – Eowyn’s will come out Lord willing sometime this week! Be PREPARED…it will be epic. Also, a few words on Arwen. Anyway, let’s start this tutorial! 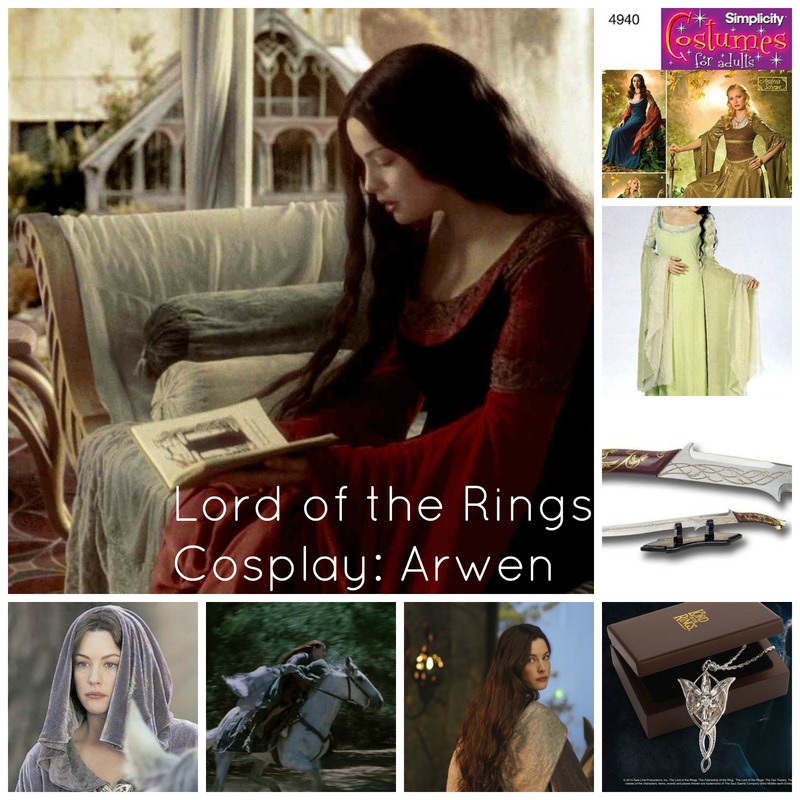 Arwen has many dresses and in order to begin creating a cosplay, you have to pick which one is for you. Arwen has 7 dresses and we will discuss all 7 in this tutorial. 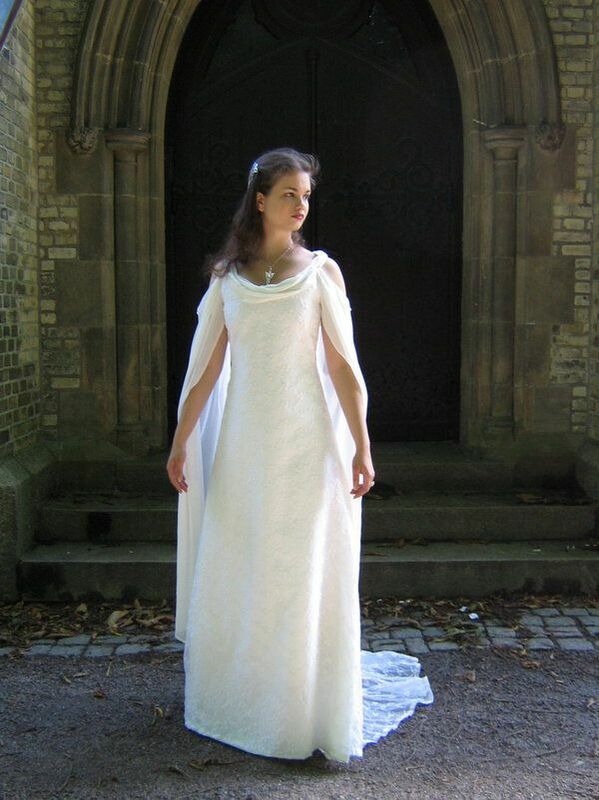 Ok, so this is the dress at a London Exhibit – couldn’t find a decent one with Arwen actually wearing it (horses aren’t always great for modeling costumes, if you know what I mean). 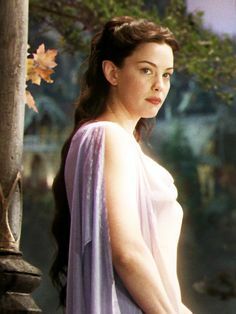 The dress is worn on the flight to the ford scene where she takes Frodo across the River to Rivendell (in the book she’s not even there – Glorfindel gives Frodo the horse and doesn’t ride with him). This dress is a gorgeous lavender color and is sleeveless unless you count the shoulder drapes sleeves (I don’t). 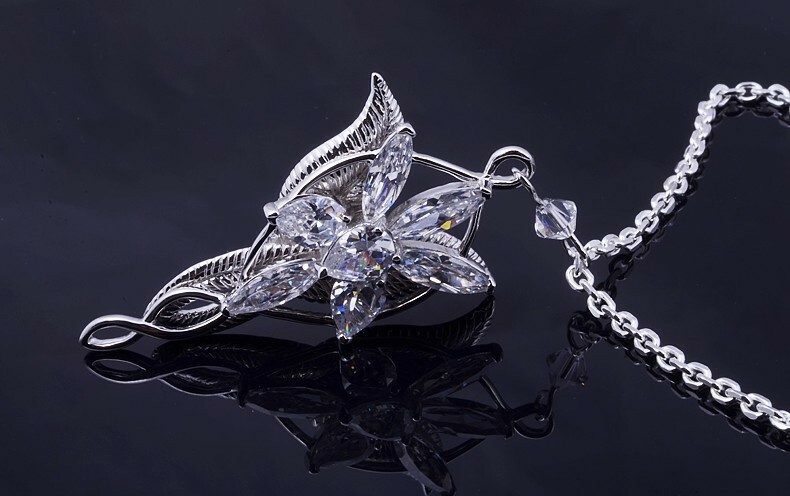 It is worn in a lovey, evenstar, Aragorn dream that is pretty romantic. Aragorn fell into a river and he washed on the shore and fell into a vision like dream with Arwen. Pretty weird – especially since it wasn’t in the book. I love the dress though. The Dress has too low of a neckline for me, but overall, it is beautiful (you can change that, too). 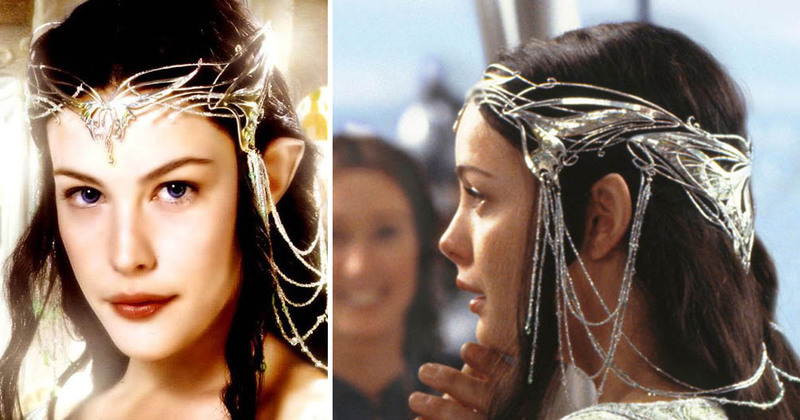 It is worn in a very short scene with Elrond about her and Aragorn (then again, what’s new?). I have a good pattern base for a lot of these dresses because I have noted that they are pretty much the same form and design. This is the dress I made for my sister Allison and a friend which you can view here. 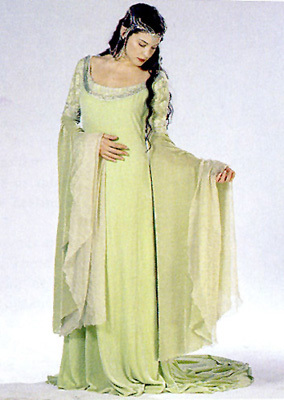 The dress is worn in the Return of the King when Arwen is dying because of – you guessed it: Aragorn. 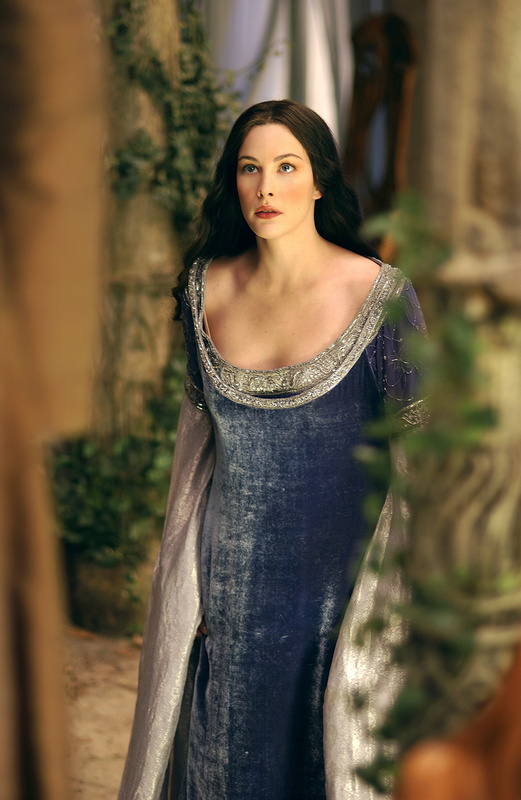 It is also called Arwen’s Dying Dress. The first name sounds happier, so I chose that one. 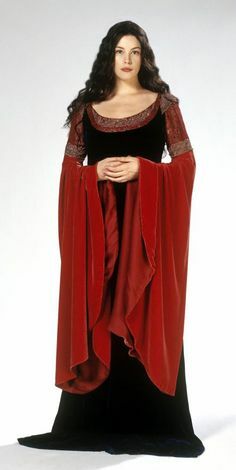 I found this picture on pinterest and I must say it is a lovely reproduction of the dress (kudos to whomever made it!). 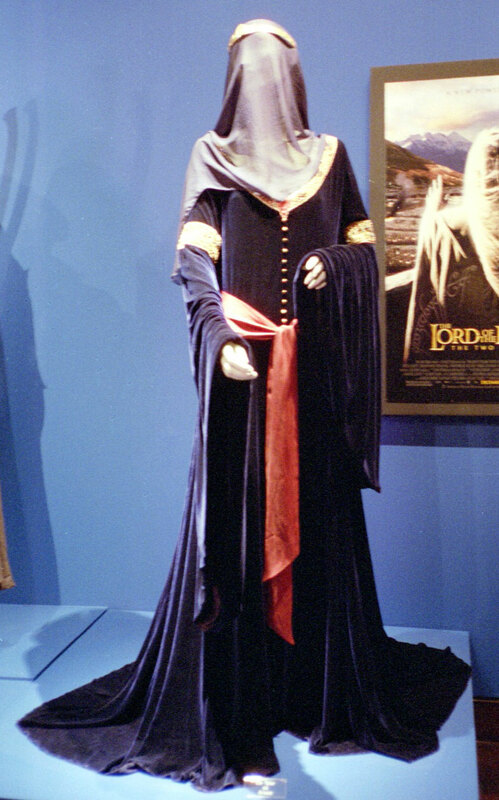 This gown is worn in another (seriously) scene with Aragorn in the Fellowship. I love this dress and I think it would be lovely for a dress choice. This dress is gorgeous and has a beautiful train – just leave out the creepy veil. Which scene is it worn in? Three words: Mortality, Aragorn, Evenstar. I love love love love this dress! So gorgeous! It’s worn in the scene where she gets married to Aragorn (I was waiting for that) and finally is reunited with him after the Ring is destroyed. She also wears a beautiful crown to go with it. Once you have your dress figured out, you have to decide how to go about making it. Will you use a pattern or make a mock up? I used a pattern and mock up for my cosplays, but it is totally up to you. 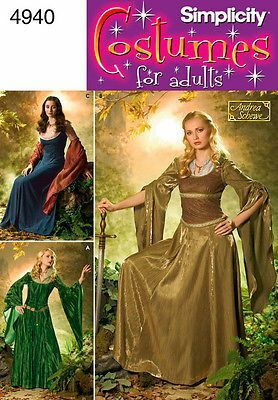 The pattern I used was Simplicity 4940 (featured above – View C) – which I believe can be used for the Blue Gown, the Coronation, and the Blood Red (or Dying). Simplicity 1551 (I believe so) can be used for the Dream Dress and Bridge Dress. For the Ford Riding Cloak, you are ON YOUR OWN (that’s like a “duh duh duh” moment :P). My condolences. Depending on your size, you will have to know how much fabric to buy. I bought 6 stinkin’ yards of fabric for the dress! It was insane. I used Crushed Panne Velvet and it was absolutely gorgeous!!! It costs about $6.99 a yard at Hancock Fabrics. 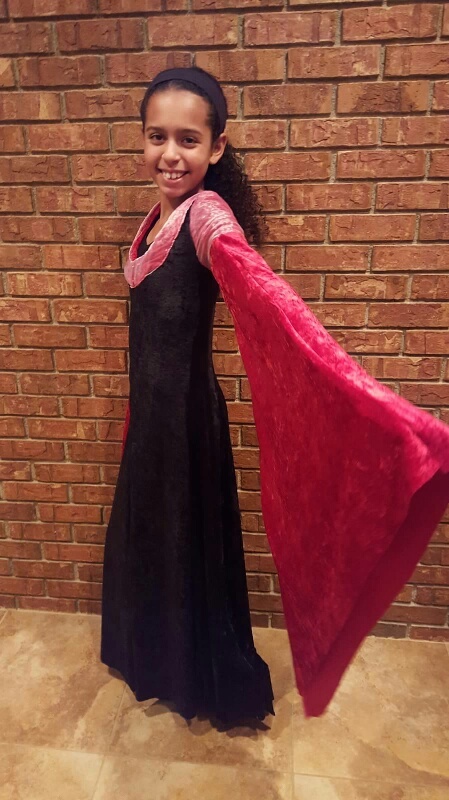 I had to get 2.5 yards for the sleeves (used crushed panne velvet for that as well) and if I recall correctly, 0.5 yards of Organza (which costs like $1.00 a yard) for the overlays on the sleeves and neckline. If I could buy my fabric again, I would get embroidered lace instead of organza. It would look more authentic to the costume. However, Organza is a cheaper alternative, so that’s what I used. There’s only a few accessories that come with Arwen – but I will go through all of them. My eyes hurt. Computer screen. Ouch. The plights of a cosplay blogger. Or you can buy a cheap one on Amazon. I haven’t bought my Evenstar yet, but I plan to. It is so beautiful! This is the kind of the cosmetic elf ears on Aradani Costumes. They have different types of ears, but these are the kind I like. Do not buy any on Amazon – I bought a pair for really cheap and they looked horrible. I think the seller wanted to make Legolas look like Legolamb from Lord of the Beans. Totally embarrassing. Arwen’s hair is almost always down and not styled. If you don’t have wavy hair, you can either curl it with a curling iron (very lightly) or you can crimp it. On the Flight to the Ford however, her hair is styled and I found two tutorials on how to do it on youtube (if you’re cosplaying the Ford Riding Outfit). Arwen’s coronation crown is super gorgeous, and I saw one for $700! It’s totally gorgeous. She wears it in the end at her coronation. If you are making the coronation dress, I would HIGHLY recommend purchasing this. It would give extra glam to your outfit and make you look amazing. I wish you all good luck on your cosplays! I hope this helps you in your adventurous endeavors…also, feel free to ask any questions in the comment log and I’d be obliged to answer any you have!